TRENTON –Attorney General Gurbir S. Grewal announced that a Philadelphia drug dealer was convicted at trial today in connection with his arrest in 2017 when the New Jersey State Police seized 1.5 kilograms of heroin laced with the super-potent synthetic opioid fentanyl. Francisco Delarosa-Luna, 31, of Philadelphia, Pa., was convicted today by a Mercer County jury of charges of first-degree possession of a controlled dangerous substance (CDS) with intent to distribute and third-degree possession of CDS. The verdict followed a three-week trial before Superior Court Judge Robert W. Bingham II in Mercer County. First-degree crimes carry a sentence of 10 to 20 years in state prison. Delarosa-Luna is scheduled to be sentenced on March 15. Deputy Attorney General Jamey Collidge and Deputy Attorney General Erik Daab, Deputy Chief of the Division of Criminal Justice Gangs & Organized Crime Bureau, tried Delarosa-Luna for the Division of Criminal Justice. They were assisted at trial by Technical Assistant Maureen Hitchens. 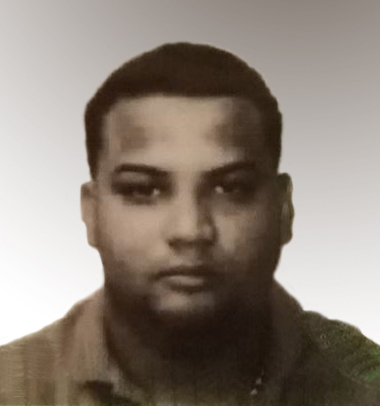 Delarosa-Luna was indicted as the result of an investigation by the New Jersey State Police and U.S. Drug Enforcement Administration Philadelphia/Camden High Intensity Drug Trafficking Area (HIDTA) Task Force. Fentanyl is one of the deadliest opioids, with a potency that is 50 times greater than heroin. It frequently is mixed with heroin, yielding doses of unpredictable and often lethal strength. Deaths involving fentanyl and fentanyl analogs have increased tenfold over the past four years in New Jersey, with 1,379 fatal overdoses involving the synthetic opioid reported in 2017, according to preliminary data. The New Jersey State Police developed information about a heroin supplier known as “El Jefe” (“The Chief”) who was distributing heroin throughout New Jersey that he obtained from sources in both Philadelphia and New Jersey. With assistance from the DEA Philadelphia/Camden HIDTA Task Force, the State Police identified the dealer as Delarosa-Luna and learned that he was preparing to distribute a large quantity of heroin in New Jersey. The New Jersey State Police used a confidential source to arrange to purchase heroin from Delarosa-Luna at a parking lot in Ewing, N.J. Delarosa-Luna used Uber to travel to the location. He was arrested by the State Police on Oct. 5, 2017 after he arrived at the parking lot, carrying a bag marked “Birthday.” The bag held two plastic-wrapped rectangular packages, which testing revealed contained approximately 1.5 kilograms of heroin laced with fentanyl. Deputy Attorney General Collidge and Deputy Bureau Chief Daab prosecuted the case for the Division of Criminal Justice Gangs & Organized Crime Bureau under the supervision of Bureau Chief Lauren Scarpa Yfantis and Deputy Division Director Jill Mayer. Detective Joseph Czech was the lead detective for the State Police Intelligence Section, Violent & Organized Crime Control Bureau, Trafficking Central Unit. Attorney General Grewal commended the attorneys and all of the detectives and agents who conducted the investigation for the New Jersey State Police and DEA Philadelphia/Camden HIDTA Task Force. Assistant Deputy Public Defender Kathleen Redpath-Perez, Mercer County.